2017 NCAA Division I Hockey Tournament: the 16 teams that qualified. With 2016-17 attendance figures & percent-capacity figures. + All-time D1 Titles-&-Frozen-Four list./+ Update: the 2017 Frozen Four: Denver Pioneers, Harvard Crimson, Minnesota-Duluth Bulldogs, Notre Dame Fighting Irish. By Bill Turianski on 22 & 27 March, 2017. twitter.com/billsportsmaps. -Here is the Bracket (en.wikipedia.org). Denver Pioneers, Harvard Crimson, Minnesota-Duluth Bulldogs, Notre Dame Fighting Irish. Path to 2017 Frozen Four – 1R: Denver 5, Michigan Tech 2. 2R: Denver 6, Penn State 3. Denver’s second-straight and 16th Frozen Four appearance. Photo and Image credits above – Action shot, photo by Angelo Delfuso at facebook.com/DenverHockey/photos. On-ice celebration, photo by Andy Cross/The Denver Post at bsndenver.com/denver-pioneers-beat-penn-state-6-3. Team-photo celebration, photo by Shawn Conkle at USCHO.com. Alternate script logo from shoppioneers.com. Path to 2017 Frozen Four – 1R: Harvard 3, Providence 0. 2R: Harvard 3, Air Force 2. Harvard’s 13th Frozen Four appearance (previously: 1994). Photo and Image credits above – Shot of Harvard goalie Merrick Madsen (31) during the first period, photo by Stew Milne via denverpost.com. Shot of final-buzzer/on-ice-celebration, photo by Melissa Wade atuscho.com . Shot of team with H-crest-banner, photo by Thomas W. Franck at thecrimson.com. Shield-template to make Harvard VE-RI-TAS hockey jersey shoulder-patch-logo: at freepik.com. Path to 2017 Frozen Four – 1R: Minnesota-Duluth 3, Ohio State 2 (OT). 2R: Minnesota-Duluth 3, Boston University 2 (OT). Minnesota-Duluth’s 5th Frozen Four appearance (previously: 2011). Photo and Image credits above – Adam Johnson OT winning goal celebration, screenshot of image from video at ESPN.com. 1st photo by Carlos Osorio/AP via timesunion.com/sports. 2nd photo by Jim Rosvold at uscho.com. Jersey logo and jersey-shoulder=patch-logo, photos by totalhockey.com/product/Minnesota-Duluth_Bulldogs_Jersey. Path to 2017 Frozen Four – 1R: Notre Dame 3, Providence 2. 2R: Notre Dame 3, UMass-Lowell 2 (OT). Notre Dame’s 3rd Frozen Four appearance (previously: 2011). Photo and Image credits above -Andrew Oglevie after scoring, photo by Richard T. Gagnon/Getty Images via sports.yahoo.com/news/ncaa-hockey-notre-dame-denver-grab-final-two-frozen-four-spots. 2 shots of OT celebration, photos by Elizabeth Frantz/Concord Monitor at concordmonitor.com. Shot of celebratory pile-on, photo by Richard T. Gagnon at uscho.com. Clover pants-logo (2016-17 gear), drawn from template at licensing.nd.edu. Colors: image from licensing.nd.edu. #1-seeds: Denver (1), Minnesota-Duluth (2), Harvard (3), Minnesota (4). NCHC – 4 teams…conference-winner (Minnesota-Duluth/#1-seed) + 3 at-large bids (Denver/#1-seed), (Western Michigan/#2-seed), (North Dakota/#3-seed). Hockey East – 4 teams…conference-winner (UMass-Lowell/#2-seed) + 3 at-large bids (Boston University/#2-seed), (Notre Dame/#4-seed), (Providence/#4-seed). ECAC – 3 teams…conference-winner (Harvard/#1-seed), + 2 at-large bids (Union College/#2-seed), (Cornell/#3-seed). Big Ten – 3 teams…conference-winner (Penn State/#3-seed), + 2 at-large bids (Minnesota/#1-seed), (Ohio State/#4-seed). WCHA – 1 team…conference-winner (Michigan Tech/#4-seed). Atlantic – 1 team…conference-winner (Air Force/#3-seed). I will have an update for this post on Monday the 27th, with small illustrations featuring the 4 teams that have made it to the 2017 Frozen Four (like I have been doing for the past 5 years/ here is last year’s Frozen Four (Boston College, Denver, North Dakota, Quinnipiac). I will also update the Frozen Four list on the map page. -Thanks to USCHO site for attendance data, Men’s Division I Hockey Attendance: 2016-2017 (uscho.com). 2017 NCAA Men’s Division I Basketball Tournament (aka March Madness) – the 68 teams: map, with team locations & 2015-16 average attendances listed. By Bill Turianski on 12 March 2017; twitter.com/billsportsmaps. -Teams, etc…2017 NCAA Men’s Division I Basketball Tournament. For 40 years, the selection process relied way too much on strength of schedule. Now the league is ready to rethink that system (by Neil Paine on February 15 2017 at fivethirtyeight.com). -From AL.com, Jacksonville State headed to NCAA tournament for first time after 66-55 win over UT-Martin (by Creg Stephenson on March 11 2017 at al.com). -From the Grand Forks Herald, VIDEO: UND headed to Big Dance after OT win in Big Sky title game (by Wayne Nelson on March 12 2017 at grandforksherald.com/sports). -From Deadspin.com, Northern Kentucky Makes NCAA Tournament In First Season Of Eligibility (by Patrick Redford on March 8 2017 at deadspin.com). -From SI.com, Watch: Northwestern fans react to first-ever NCAA tournament bid (March 12 at si.com). -From the Sacramento Bee, UC Davis men’s basketball team earns first trip to NCAA Tournament (by Joseph D’Hippolito on March 11 2017 at sacbee.com/sports). Arkansas Razorbacks. SEC. Fayetteville, AR. Bucknell Bison. Patriot League. Lewisburg, PA.
Creighton Bluejays. Big East. Omaha, NE. East Tennessee State Buccaneers. Southern. Johnson City, TN. Florida Gators. SEC. Gainesville, FL. Florida Gulf Coast Eagles. Atlantic Sun. Ft. Myers, FL. Florida State Seminoles. ACC. Tallahassee, FL. Iona Gaels. Metro Atlantic (MAAC). New Rochelle, NY. Jacksonville State Gamecocks. Ohio Valley. Jacksonville, FL. Kansas State Wildcats. Big 12. Manhattan, KS. Kent State Golden Flashes. Mid-American. Kent, OH. Louisville Cardinals. ACC. Louisville, KY.
Marquette Golden Eagles. Big East. Milwaukee, WI. Maryland Terrapins. Big Ten. College Park, MD. Minnesota Golden Gophers. Big Ten. Minneapolis/St. Paul, MN. Mount St. Mary’s Mountaineers. Northeast. Emmitsburg, MD. Nevada Wolf Pack. Mountain West. Reno, NV. New Mexico State Aggies. WAC. Las Cruces, NM. New Orleans Privateers. Southland. New Orleans, LA. North Carolina Central Eagles. MEAC. Durham, NC. North Dakota Fighting Hawks. Big Sky. Grand Forks, ND. Northern Kentucky Norse. Horizon. Highland Heights, KY.
Northwestern Wildcats. Big Ten. Evanston, IL. Oklahoma State Cowboys. Big 12. Stillwater, OK.
Princeton Tigers. Ivy League. Princeton, NJ. Purdue Boilermakers. Big Ten. West Lafayette, IN. Rhode Island Rams. Atlantic-10. Kingston, RI. St. Mary’s Gaels. WCC. Moraga, CA. Seton Hall Pirates. Big East. East Orange, NJ/Newark, NJ. South Carolina Gamecocks. SEC. Columbia, SC. Southern Methodist University [SMU] Mustangs. American Ath. Conf. Dallas, TX. Texas Southern Tigers. SWAC. Houston, TX. Troy Trojans. Sun Belt. Troy, AL. UNC-Wilmington Seahawks. Colonial (CAA). Wilmington, NC. UC-Davis Aggies. Big West. Davis, CA. UCLA Bruins. Pac-12. Los Angeles, CA. USC Trojans. Pac-12. Los Angeles, CA. Vermont Catamounts. America East. Burlington, VT.
Virginia Cavaliers. ACC. Charlottesville, VA.
Virginia Commonwealth University [VCU] Rams. Atlantic 10. Richmond, VA.
Virginia Tech Hokies. ACC. Blacksburg, VA.
Wake Forest Demon Deacons. ACC. Winston-Salem, NC. Winthrop Eagles. Big South. Rock Hill, SC. Thanks to AMK1211 for blank map of USA, ‘File:Blank US Map with borders.svg”>File:Blank US Map with borders.svg‘ (commons.wikimedia.org). Thanks to NCAA for attendance figures, from 2016 NCAA MEN’S BASKETBALL ATTENDANCE (For All NCAA Men’s Varsity Teams) [pdf]. -Fixtures, results, etc…FA CUP: 6th Round: [fixtures/teams/etc] (us.soccerway.com/national/england/fa-cup). -BBC’s page on the FA Cup…FA Cup (bbc.com/sport/football/fa-cup). -FA Cup 2016/17 5th Round Preview (facupfactfile.wordpress.com). By Bill Turianski on 4 March 2017; twitter.com/billsportsmaps. Lincoln City are the first Non-League team since 1914 to reach the FA Cup quarter-finals ! -From Guardian/football, Lincoln City topple Burnley as Sean Raggett seals historic FA Cup shock (by Andy Hunter on 18 Feb. 2017 at theguardian.com/football). -Goal: Burnley 0-1 Lincoln City, Raggett (89′), streamable.com/572av (via reddit.com/r/soccer). -This 1:36 youtube video is brilliant [collection of fan footage], Lincoln City Beats Burnley. Everyone Goes Nuts. (uploaded by oakcreektv at youtube.com). Vanarama (5th division league-sponsors) do a one-off-sponsorship of Lincoln City’s green away jersey for their FA Cup 5th Round tie versus Burnley, photo by Lincoln City Twitter feed at twitter.com/LincolnCity_FC/status/832284686634381312. Lincoln DF Sean Raggett heading in the winner (89′), photo by Reuters via daily-mail.co.uk/football. Lincoln DF Sean Raggett heading in the winner (89′), photo unattributed at skysports.com. Shot of teammates mobbing Sean Raggett in front of goal, photo by Getty Images via express.co.uk/football. Shot of Raggett jumping for joy following goal as both sets of fans seen with contrasting responses, photo by Getty Images via dailymail.co.uk/football. Sceenshot of Raggett and teammates celebrating with traveling Lincoln fans, image from a Youtube video via Football-Lineups.com. Screenshot of Lincoln manager Danny Cowley being congratulated right at the final whistle, image from Lincoln City Beats Burnley. Everyone Goes Nuts. (uploaded by oakcreektv at youtube.com). -Arsenal: manager, Arsene Wenger, photo by Julian Finney/Getty Images Europe via zimbio.com. Alexis Sánchez (20 goals), photo by Getty Images via metro.co.uk. -Chelsea: manager, Antonio Conte, photo by Getty Images via dailystar.co.uk/football. Diego Costa (17 goals), photo by Getty Images via chelseafclatestnews.com. -Lincoln City: manager, Danny Cowley, photo by Empics Sport via dailymail.co.uk/football. Matt Rhead (13 goals in all competitions), photo by Andrew Vaughan/Camera Sport via gettyimages.com. -Manchester City: manager, Pep Guardiola, photo unattributed at espnfc.com. Sergio Agüero (22 goals), photo by Michael Steele/Getty Images Europe via zimbio.com. -Manchester United: manager, Jose Mourinho, photo by David Rogers/Getty Images Europe via zimbio.com. Zlatan Ibrahimović (26 goals), photo by Gareth Copley/Getty Images Europe via zimbio.com. 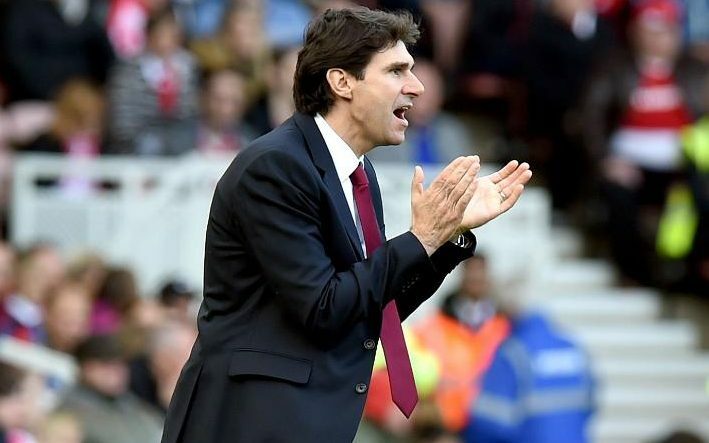 -Middlesbrough: manager, Aitor Karanka, photo by Greig Cowie/BPI/Rex/Shutterstock via telegraph.co.uk/football. Alvaro Negredo (7 goals), photo by Action Images via Reuters via mirror.co.uk. -Millwall manager, Neil Harris, photo by Millwall FC at millwallfc.co.uk/article. Steve Morison (13 goals), photo by Millwall FC at millwallfc.co.uk/article. -Tottenham manager, Mauricio Pochettino, photo by Michael Regan/Getty Images Europe via zimbio.com. Harry Kane (22 goals), photo by Clive Rose/Getty Images Europe via zimbio.com. -FA Cup Factfile for info, twitter.com/FACupFactfile. -Blank map of UK historic counties, by Nilfanion (using UK Ordnance Survey data), at File:United Kingdom police areas map.svg (commons.wikimedia.org). -Blank relief map of Greater London, by Nilfanion (using UK Ordnance Survey data), at File:Greater London UK relief location map.jpg. -Blank relief map of Greater Manchester, by Nilfanion (using Ordnance Survey data), at File:Greater Manchester UK relief location map.jpg. -Current average attendance figures from Soccerway.com.